The Radford Highlanders scored nine of the game’s first 10 runs en route to a 9-3 victory over the VMI Keydets in non-conference action Saturday in Radford, Va. The win evened the series between the clubs at one game apiece. Radford (17-24) took the lead for good just three batters into the home half of the first, when Danny Hrbek tripled home the first of two first-inning runs. VMI (18-24) scored a single run in the second, but RU scored two runs in the second, one in the third and fourth innings and three in the fifth to put the game out of reach. The starters got the decisions, as Hrbek was the winner after throwing 5 2/3 innings of two-run ball. He moved to 3-4. Austin Gerber pitched 3 1/3 one-hit innings to close out the game and pick up his first save. Brandon Barbery (0-8) took the loss, as he surrendered nine runs – seven earned – in 4 2/3 innings. After trailing 9-1 after five, the Keydets fought back to score twice in the sixth, including one on a home run by Collin Fleischer, but could get no closer as RU evened the series. Offensively, Mason Scoville had three hits to lead Radford, while three Keydets had two hits apiece. 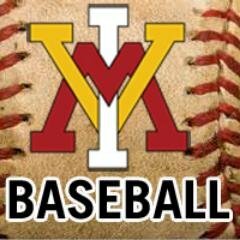 VMI and Radford will wrap up their series at 2 p.m. Sunday at Gray-Minor Stadium.